Working on commercial vessels in the navy and then in Europe gave Michael Fitzallen a keen insight into their needs, so for the past nine years the Nautek boss has been doing just that with his team of marine tradesmen. 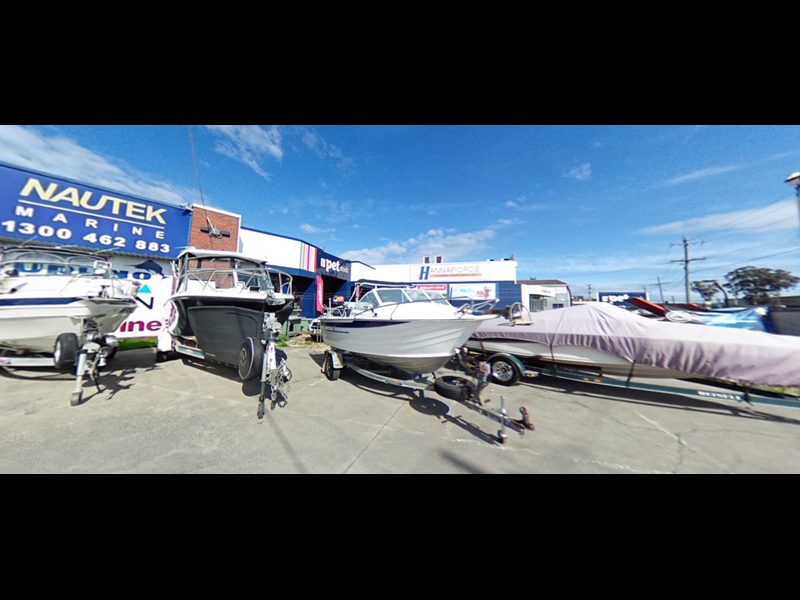 "We cover all aspects of recreational and a variety of commercial vessels in the Port Phillip area," Fitzallen explained at the company’s 750m2 premises in Braeside, which can host boats up to about 12m and has storage for 18 vessels. A key feature of the company is its one-stop shop, especially useful for mission-critical services; "For commercial operators such as the police and firies, there usually has to be a quick turnaround," he notes. This could involve stainless welding, calibration of electronics or complete vessel refits. Shipwright services includes fibreglassing expertise including osmosis treatment for older vessels. But the company's knowledge extends to builds as well. "We are now using a new biodegradable material, basalt, which is stronger than carbon," Fitzallen said. Other areas of work typically involve technicians visiting boats in marinas and looking after their servicing. Engine maintenance ranges from the latest Cummins Q10 motors on the fire brigade’s 40-foot cutter to humble trailerboat outboards. Electronics are a major feature of most boats today so Nautek has technicians trained in Furuno, Garmin and Raymarine. "Many of our commercial operators use Furuno gear with charting from the Australian Hydrographic office, so systems by Maxsea are particularly suitable for them," he added.